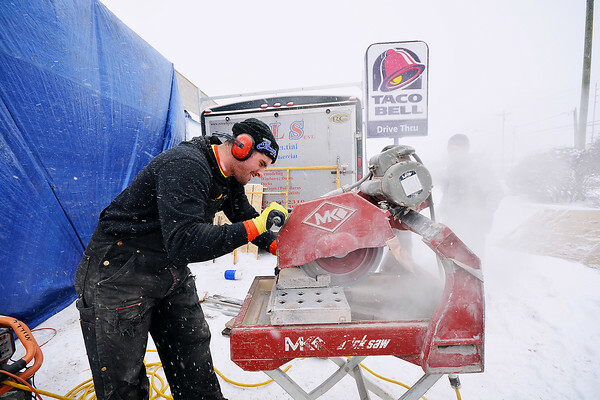 Jesse Blanchard, of Houghton Lake, cuts a piece of tile at the Taco Bell restaurant on South Airport Road in Traverse City. The establishment is two weeks into an extensive inside and outside renovation. Curt Wood of general contractor RCW General Contracting, Inc., of Livonia, said the project will be complete in two and a half weeks.